Description: Leather Nose Bronco Halter Average Horse Size. Nylon halter with throatlatch. 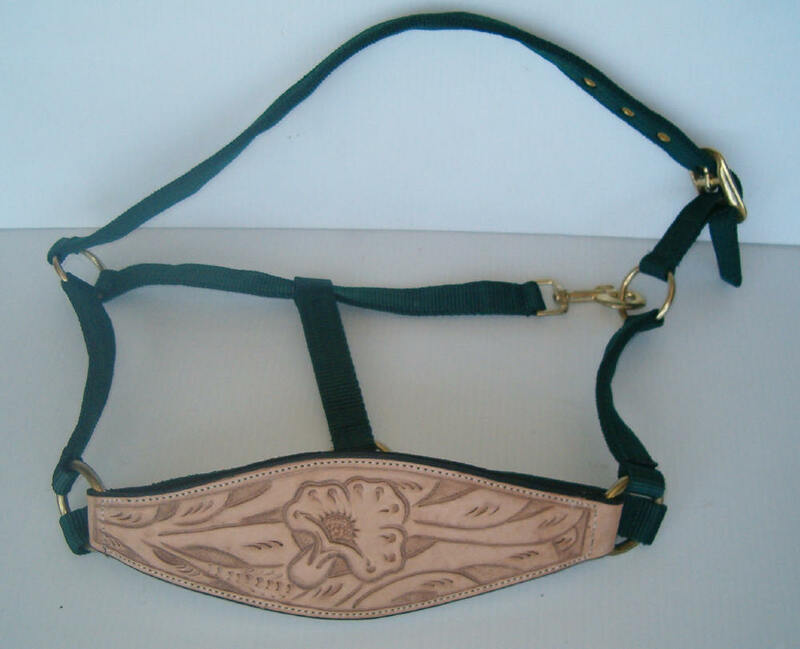 Large tooled bronco style noseband with floral pattern. Great for work or show. Red is current color in stock.